See more objects with the tag domestic, furniture, industrial design, still life, table, coffee table. 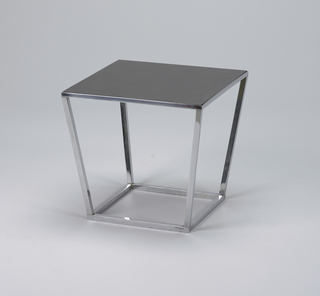 This is a Table. 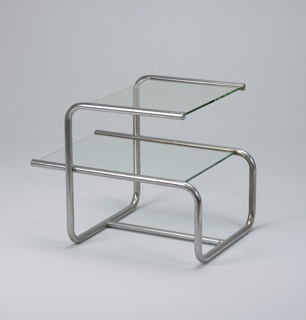 It was designed by Donald Deskey and manufactured by Ypsilanti Reed Furniture Company. It is dated ca. 1928 and we acquired it in 1993. 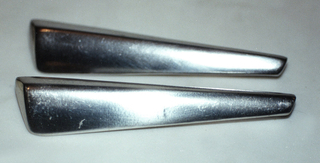 Its medium is enameled metal, aluminum, wood. It is a part of the Product Design and Decorative Arts department. 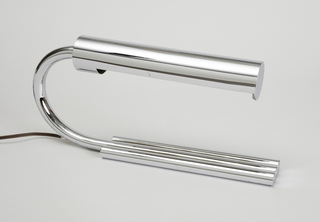 Chrome-plated tubing and solid metal remained a provocative element of modernist design throughout the 1920s and early ’30s in the hands of Kem Weber, Gilbert Rohde, Donald Deskey, and others who used it in various combinations with other materials.Donald Deskey started to experiment with new materials, forming a 1927–31 partnership with Philip Vollmer in which he mixed media. 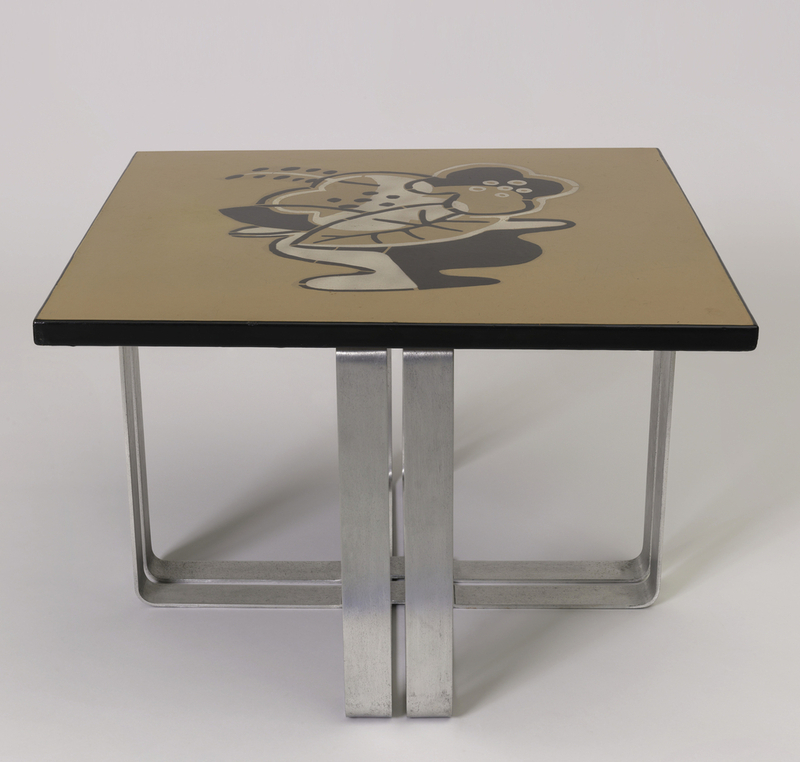 As shown in this table from about 1928, Deskey was among the first designers to use chrome for domestic furniture, pairing it with wood enlivened with abstract decorative motifs. 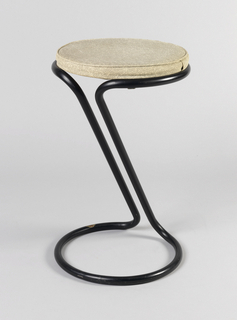 This object was fund: Decorative Arts Association Acquisition Fund and General Acquisitions Endowment. It is credited Museum purchase from Decorative Arts Association Acquisition and General Acquisitions Endowment Funds. Gift of E. Paul Charak. 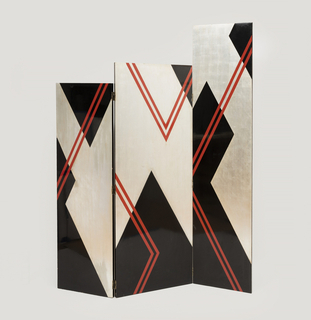 silver leaf, lacquered wood, cast metal (hinges).